It’s Fantasy Draft season and with that comes all kinds of rankings and analysis concerning this year’s potential top picks. But as any fantasy football participant can tell you, there’s no such thing as a guarantee come draft day. Sure, you’ve got the Peyton Manning’s and the Aaron Rodgers’ of the fantasy world—players who barring a sudden, unfortunate injury will produce every single game. It also helps that they’re quarterbacks. But the trick of having a successful draft doesn’t come in the form of sleepers, though picking one can certainly help. Or even in the location of your pick, whether that’s early in the first round or late. No, the trick is to not get caught up in the all the rankings and the hype of what fantasy “experts” are saying. Drafting by the book — that is just going down rankings and taking whoever’s the highest player left at the time — rarely results in a league championship. After all, the rankings are mostly based on projections utilizing the player’s production from the previous season. Just like the stock market, the trick of maximizing your value is finding the undervalued players and avoiding the overrated ones. Certain players tend to be more likely busts than others. For example, a successful running back who’s spending his first season on a new team that uses a pass-happy offense probably won’t be too productive. Though typical draft strategy calls for taking a running back as your first pick, based on who’s available at the time, that all can change. But either way, a successful first-round pick or even a later one involves minimizing risk, and maximizing value. Thus, here are five overvalued players according to average draft location and their positional ranking you should avoid. 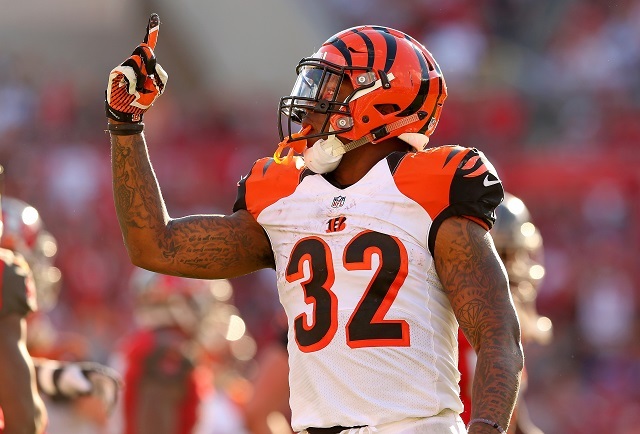 Hill, a very talented running back with the Bengals had a breakout rookie season a year ago. He finished with 1,124 rushing yards, nine touchdowns, and 215 receiving yards. Considering those numbers, Hill’s currently being taken 18.2 overall on ESPN’s draft results, and is slotted as the sixth best running back by Sports Illustrated, with an auction value of $45. A second round draft pick in 2014, Hill’s proven himself as a potential star in this league. But his situation doesn’t make drafting him as your top running back an easy decision. The Bengals have another terrific back in Giovani Bernard, and his ability out of the backfield as a receiver takes away a lot of touches from Hill. Despite Hill getting the majority of the rushing yardage, since he’s not Cincinatti’s lone producer in the backfield, he has far less worth than that of a Le’Veon Bell or Marshawn Lynch, who get almost every single touch for their respective teams. He’s not your fantasy team’s top running back, and should not be drafted as one. 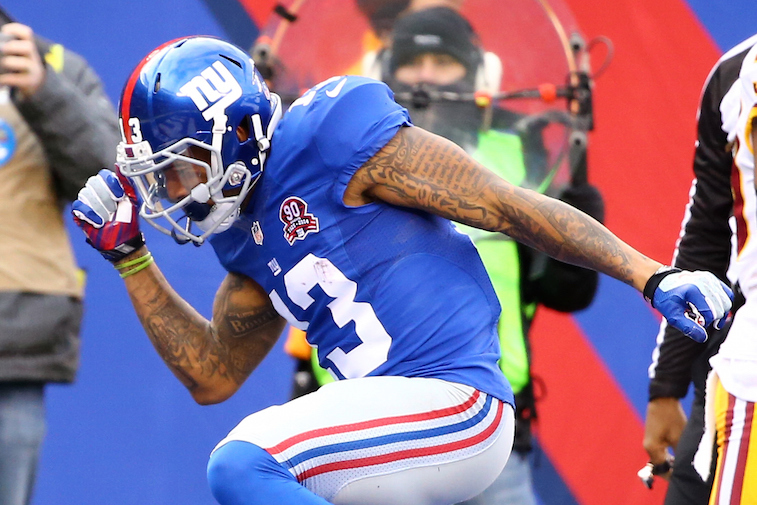 No one’s questioning whether or not Beckham Jr.’s a great receiver. Just look at how well he ended the regular season a year ago, and how talented he is. But at the end of the day, he’s still relatively unproven. Maybe not unproven in the sense he’s a talented pass catcher, but unproven as a reliable fantasy producer: what really matters. We’re talking about a fantasy draft here, not the actual NFL Draft. Beckham Jr.’s average draft spot currently has him at 15.9, putting him as an early second round selection. That’s above Jordy Nelson, Calvin Johnson, and Julio Jones—three proven fantasy workhorses. Oh yeah, and Eli Manning isn’t exactly a guarantee to get him the ball. When you take into account sophomore slumps can hit at any time, Beckham Jr. as an early second-round selection seems like the kind of a risk that could turn a good fantasy season into a bad one. 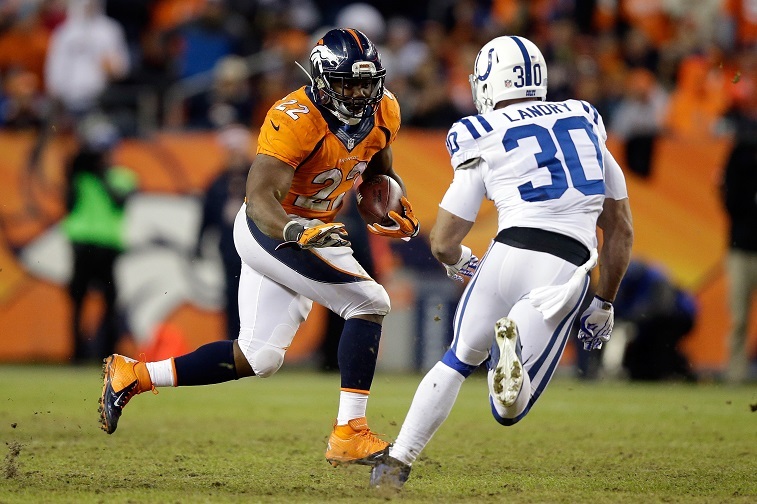 Anderson, who’s just 23 years old, will enter his second season as Denver’s lead back. Unfortunately, drafting any running back on the Broncos comes with a risk. Apparently fantasy owners don’t think so, though, as Anderson’s average draft spot is 11.4, putting him towards the end of the first round. Any Denver player is never a bad selection, as the Broncos’ offense doesn’t appear to be slowing down this season. But drafting a Denver running back comes with a risk. There will be games where Manning will go off for 400 yards and the running game will be left in the lurch. So while Anderson will likely have a productive season, for a player who finished 2014-15 with 849 rushing yards, 324 receiving yards and 13 total touchdowns, his fantasy worth goes only as far as he’s needed. Considering how well Manning spreads the ball, individual players’ fantasy worth in Denver can wax and wane. So take Anderson as your first pick, but just do so knowing he might not be worth it. Wilson’s one of the best quarterbacks in the NFL if you’re into team success, and that’s a fact. Just look at his track record—two Super Bowl appearances, one Super Bowl victory, and a whole lot of wins. Success doesn’t necessarily mean fantasy value. But Wilson, currently the third-highest drafted quarterback (25.5), is being drafted like he’s a fantasy workhorse — something he isn’t. This puts him ahead of Peyton Manning, Drew Brees, Ben Roethlisberger and Tony Romo. 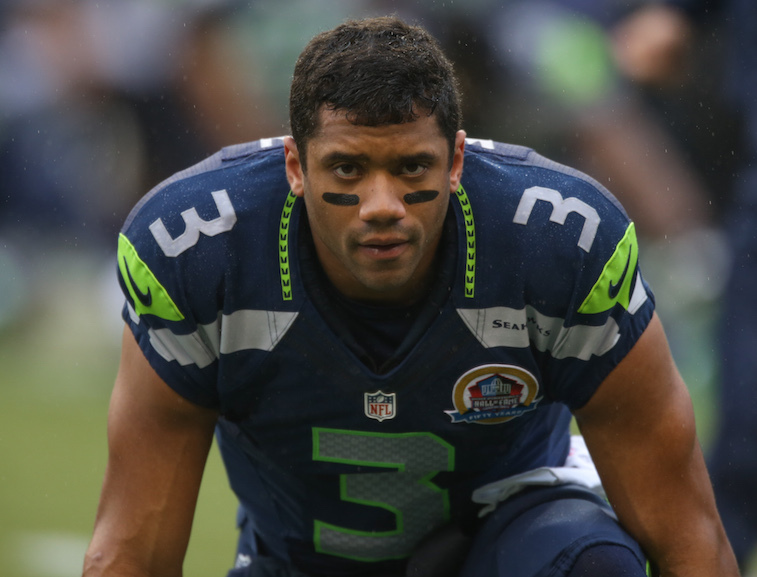 As a whole, Wilson has never passed for more than 3,500 yards in a season or more than 30 touchdowns. Sure, in terms of his fantasy value, the rushing yards and touchdowns help, but he still doesn’t compare to the elite passers. 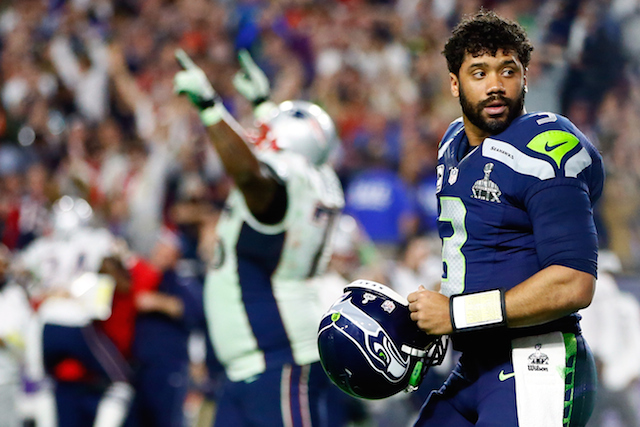 Wilson can be a fantasy team’s number one quarterback, but there are better options in terms of quarterbacks who can put up elite numbers.